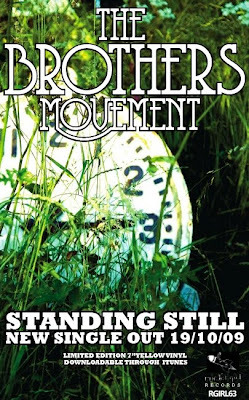 FS repped artist, THE BROTHERS MOVEMENT, will release their debut record in Europe on November 2nd, as well as the first single, "Standing Still", on October 19th on Rocket Girl Records. The Dublin act will be the next release on Rocket Girl Records, the label behind A PLACE TO BURY STRANGERS, and will be playing the In The City Festival in Manchester in October, debuting songs from their release. Watch this space for more music and info on TBM in the States.